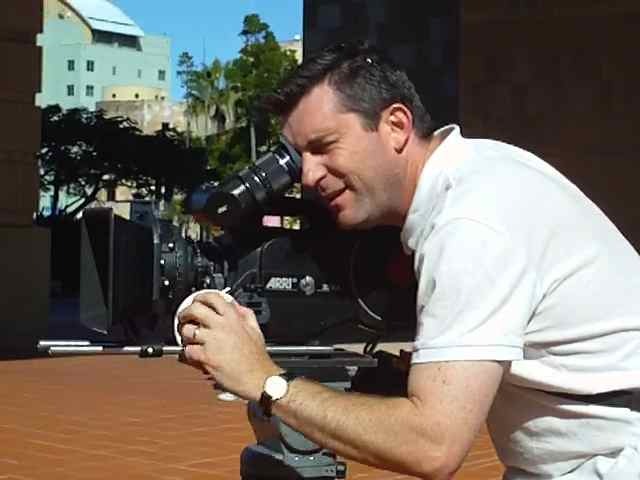 On Saturday 12th June I was fortunate enough to spend 14 hrs at Bond University doing a master class in film and television production with a number of media teachers from around Australia. Here is a short video summary of the experience. School teachers and university lectures are often so busy trying to make connections between themselves, their curriculum and their students that they often ignore opportunities to make connections outside of their classroom/lecture theater. It is hard enough to encourage teachers to team up with other teachers from various faculties to build interdisciplinary projects, let alone team up with other schools, other industries and other education institutions. Yet making those connections with the real world is fundamentally what a good education is all about. If we are not preparing our students for a world where networking and making connections with others is vital, are we just wasting their and our time? A few weeks ago I received an email from Bond University which, I must admit, I initially ignored thinking it was just another advertisement. When I did get round to opening it, I couldn’t believe what an opportunity it was offering. It was an invitation to fly up to Bond University on the Gold Coast and spend a day at their film and TV department learning from their staff and students, all paid for. Over the past few years a teacher from Bond has been coming down to Melbourne spending some time with our media students and promoting a short film competition called BUFTA, the Bond University Film and Television Awards. This is a popular competition as the winning prize is a full tuition scholarship to study a Bachelor of Film and Television degree at Bond University’s award winning Centre for Film, Television and Screen-based Media. The BUFTA roadshow goes all over the country and this year Bond University decided to bring the various teachers they visit to their centre on the Gold Coast. It was an inspiring day. Head of School, Michael Sergi began by explaining that the aim of the day was to give something back to the media teachers as a way of saying thank you for preparing their potential future students so well. The day began with a lecture on screen play writing lead by Michael Sergi, then after a generous morning tea in the glorious Gold Cost winter sunshine, we were given a hands on demonstrations on some of the camera gear used by the students at Bond. This was my first ever opportunity to play with a 35mm film camera. After playing with about half a million dollars worth of camera gear, we enjoyed a beautiful curry lunch in a room that over looked the Bond University lake with Burleigh Heads in the distance. Then the group was split up and rotated through a range of activities. I joined the small group of Victorian teachers representing Wesley College, De La Salle and Huntingtower and we began by setting up and recording with our own professional HD camera and tripod worth close to $100,000. 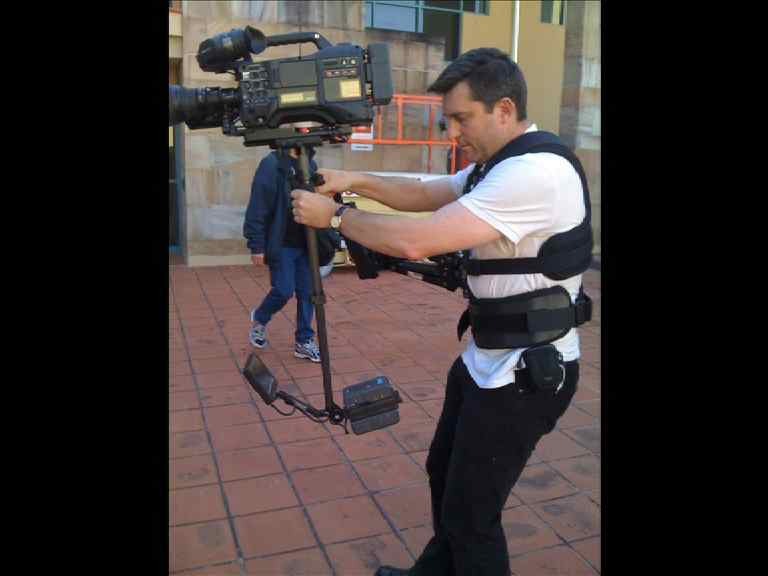 The highlight for me was to then play with a professional Steadicam harness and camera – very cool! Our group then moved into the Bond University TV Studio to be given a brief workshop of studio lighting. Then we spent some time in the editing rooms playing with Final Cut Pro, which I tend to use almost daily but always enjoy watching how others use and teach this amazing editing software. We had a short break back in our apartments before returning all dressed up for a formal dinner hosted by the Dean of Humanities and Social Sciences department, Professor Raoul Mortley AO. It was an amazing and inspiring day of professional development and networking for all involved. I have no hesitation in recommending Bond University to my students and I will encourage them to put in an entry into BUFTA each year. It is great to see a tertiary institution such as Bond University invest not only in promoting its own courses but also in the grass roots of education and helping inspire young people to fulfill their future dreams. The more schools, universities and businesses can breakdown perceived barriers and make strong workable connections, the better for everyone.